Meet the faces behind the organization. The three co-founders and executive committee of the Asian Bird Fair Network! 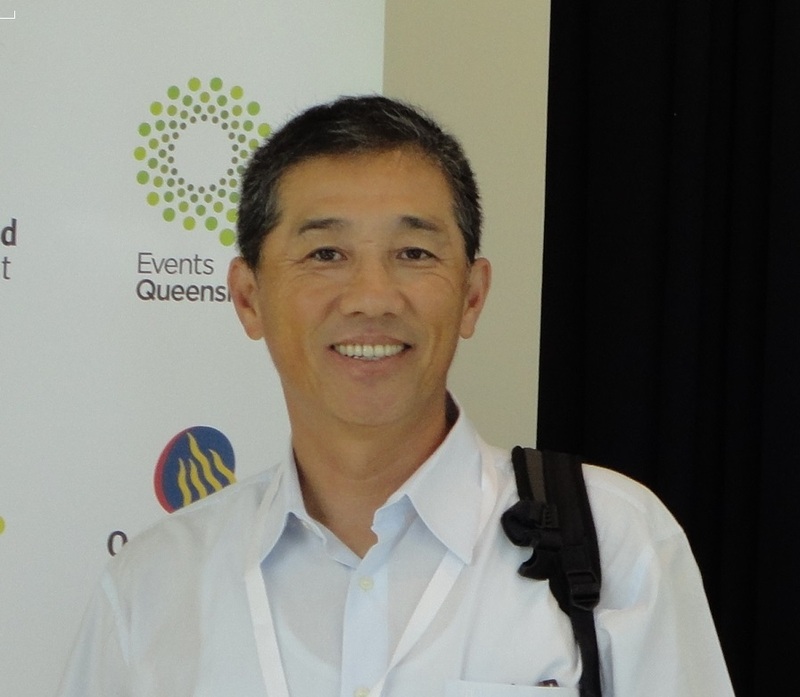 Victor Yu is the President of Ecotourism Taiwan (an NGO) which was established in 2014. He was formerly the Chief Executive Officer of the Chinese Wild Bird Federation (CWBF) (BirdLife Partner in Taiwan) for 10 years since 2002. He remains the board member of CWBF till today. He has also been the Secretary General of the Taiwan Ecotourism Association in 2011 to 2014. Victor is an Ecotourism consultant to an Ecotourism project of Taiwan Forest Bureau and several travel agents. Victor possesses vast experience on adventure tourism and ecotourism. He is also an avid birdwatcher, and has dedicated much effort on promoting Taiwan birdwatching tourism as well as championing wildlife conservation. He has been one of the organizers of the Taipei International Birdwatching Fair for 6 years which started in 1999. Victor has also organized many events relating to wildlife conservation, birdwatching tourism and ecotourism including the inaugural International Conference on Birdwatching Tourism in Taiwan in 2009, Taiwan Ornithological Forum in 2007-2010, International Conference on Wildlife Tourism and Conservation in 2012 and 2013 in Taiwan, International Conference on Wetland Conservation, Education and Tourism in 2014, International Conferences on Water-based Tourism in 2014 and many others. Victor is the main organizer of an annual event, Taiwan Birdathon since 2012. Victor has been invited by The Department of Ecotourism of Taiwan Tungnan University as a guest lecturer teaching courses of Ecotourism, Nature Interpretation and Environmental Ethics since 2012. Currently he is working with Wild Bird Society of Japan on Green Holiday in Taiwan, working with SEN Travel on Voluntourism in Taiwan, and several international tour agents on birdwatching tours and eco tours. MICHAEL LU is one of the founding members of the popular Wild Bird Club of the Philippines (WBCP) that started in 2003. He served almost a decade as the president of the Club, and continues to serve in the executive committee till this day. Under his term, the Club introduced guided birdwatching trips to the general public, thus promoting birdwatching as a hobby and making it accessible to the general public. The Club assisted the Philippines Environmental Department to monitor migratory waterbirds and has also worked closely with government agencies to help fight illegal wildlife trade. Under Michael’s leadership, WBCP also partnered with the Philippines Tourism Department to promote birdwatching as a viable ecotourism product and came up with two guide books on birdwatching sites in the Philippines. Michael also initiated the annual Philippines Bird Festival which is now a worldwide recognized event where cities in the Philippines compete and bid to host this coveted festival. As such, this festival is held at a different city each year. The Wild Bird Club of the Philippines has set the precedent of being one of the only thriving clubs that is run entirely by volunteers, with no paid staff or office. An avid birdwatcher and photographer with a passion for architecture as well, Michael is a businessman, running a successful family owned business dealing in industrial tools. ANDREW SEBASTIAN is a seasoned naturalist, environmentalist and sought after certified nature/bird guide, serving as the full time staff for the Malaysian Nature Society (MNS) for 20 years. A Law graduate, he joined MNS, having spent much of his childhood in the Forest Research Institute of Malaysia (FRIM) where his father worked for the Forestry Department. He served MNS and dealt with grass roots initiatives such as public campaigns to protect Belum Temengor, Bukit Larut, Tanjung Tuan, Bukit Gasing, Pulau Redang, Cameron Highlands and Sg. Buloh Forest Reserve. He also led on Climate Change issues, Local Community Empowerment projects, developing fundraising, CSR and corporate partnerships as well as coordinating the media on behalf of MNS. In terms of Birds and Ecotourism, he is an avid birdwatcher as well as a certified nature guide and seasoned Padi open water diver. He developed the first “Developing Birdwatching As An Ecotourism Product” proposal and project for the Ministry of Tourism in 2008. He led the Milky Stork Captive Breeding Programme (Kuala Selangor, 2001), developed Bird Checklist for Kota Damansara Community Forest, Kenyir Lake, Genting Highlands and Bird Tourism Development Plans for Genting Berhad and Belum Rainforest Resort. Andrew conducts workshops on birdwatching for beginners and represents MNS at most regional Bird Fairs, including the British Bird Fair in 2009, the Moscow International Travel Trade in March 2011, as a subject matter expert on Birdwatching/Ecotourism for Tourism Malaysia (Package Development Division) to promote bird tourism and bird conservation. He was also the focal point and involved previously in organizing the Fraser’s Hill Bird Race for the past 6 years, MNS’ iconic Raptor Watch, which is the largest nature event in Malaysia, for the past 10 years and helped develop the concept and coordination of the inaugural Borneo Bird Festival in 2009. He also co-founded the Asian Bird Fair (ABF) Network, in 2010, consisting of 5 regional bird and national bird conservation organizations. Between 2007 and 2012, Andrew was active as a committee member of the Selangor Tourist Guide Association (SGTGA) and was speaker for its CTRE courses on the topics of ‘Birds’ and ‘Fireflies’. In 2012, Andrew represented Malaysia at the Philippines Bird Festival (Dec 2012) and Taipei International Bird Fair (Nov 2012) and conducted 3 certified courses in Introduction to Birdwatching & BioTourism, for Tourism Malaysia in December 2012 and 2014. In January 2013, he was a presenter at the Global Birdwatchers Conference in India and in February, he presented at the International Wildlife Tourism Conference in Taiwan, as speaker for Tourism Malaysia in Hong Kong. In September 2009, he conceptualized and coordinated the International Hornbill Expedition in Belum. In Nov 2013 he presented ‘International Wildlife Tourism’ in Mei-O University, Okinawa. He organised the Royal Belum Bird Expedition on 5th – 7th September 2014 and very recently he successfully organised the Asian Bird Fair in Langkawi on 28th November 2014. In February 2015, Andrew unveiled his latest project, developing Tourism Malaysia’s “Birdwatching in Malaysia” booklet for worldwide circulation. On 14th May 2015, Andrew presented a paper “Birdwatching Sites in Pahang” at the Tourism Pahang Travel Mart & Seminar in Singapore. The very next day, he flew to Jingshan, China as a guest of the CCX to attend their Annual Jingshan Bird Race as part of the Asian Bird Fair Network Executive Committee. 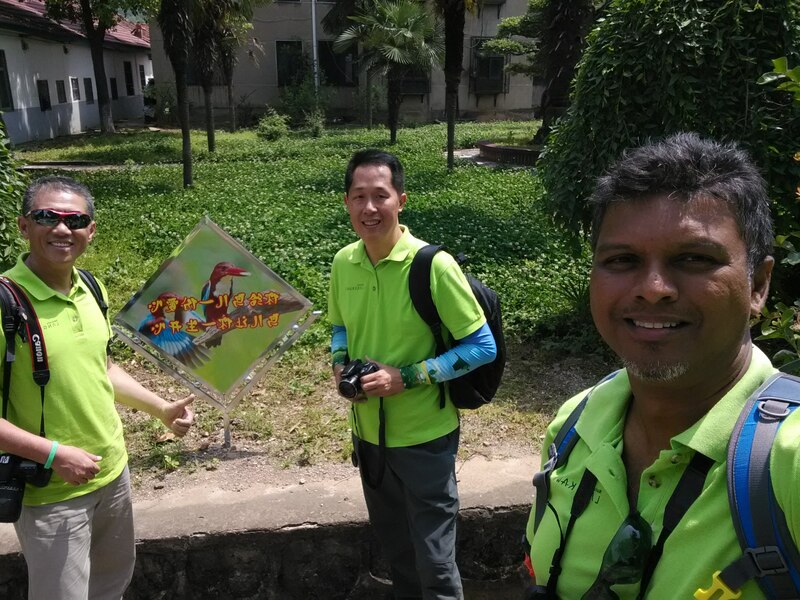 In May 2015, Andrew led his MNS team in organising another successful seminar in conjunction with the Fraser’s Hill International Bird Race 2015. The seminar was entitled Ecotourism – The Way Forward for Fraser’s Hill in which Andrew presented 2 papers on the ‘Organising & Promoting Bird Events in the Region’ and ‘Tanjung Tuan’s Raptor Watch’. In September 2015, Andrew left MNS to create his own NGO, Ecotourism & Conservation Society Malaysia (ECOMY) as its Chief Executive Officer & Co-founder. ECOMY in its infancy, have already been quoted in the media 8 times and is undertaking 6 projects to develop and promote ecotourism in Malaysia. This includes a pioneer approach and project Pangkor Island Nature Guide Mentorship Programme where ECOMY is capacity building local community representatives to pursue and embrace ecotourism best practices and nature guiding skills. In February 2016, Andrew took part in the Mid Syndication Lab 2.0 organised by PEMANDU and Ministry of Tourism & Culture. In March 2016, he coordinated and led the International Media Birds & Ecotourism Expedition for Tourism Malaysia, resulting in 8 international & local media articles to date. Andrew’s latest international accomplishments include representing Malaysia at the inaugural American Birding Expo in Ohio, 2nd October 2015, co-organising the 6th Asian Bird Fair in Singapore on 31st October 2015 and speaking at the Philippines Bird Festival 6-8th December 2015 – International Ecotourism Forum. To date, Andrew has published 4 technical papers on birds while coordinating Malaysia’s first Milky Stork Captive Breeding Programme in Kuala Selangor and as lead investigator for birds during 3 scientific expeditions. He has also developed 6 checklists for birds from various sites in Malaysia and published 14 articles on nature related topics mainly in the quarterly magazine, Malaysian Naturalist. He has personally recorded a total number of 2,400 birds worldwide and hopes to reach a target of 4,000 birds before he dies! He has been quoted in the mass media over 260 times over the past 20 years and is currently featured in the Lonely Planet as an local environmental personality since 2011. He is also a regular guest on Business FM (BFM)’s The Bigger Picture. He is Co-founder of newly registered Wild Bird Club of Malaysia and Vice President of the Malaysian Ecotourism Association (MEA). He can be reached at ajsebastian@hotmail.com and mobile +60193745246 or read his blog at ajsecojourney.net.